Crescent Communities came to us with a unique situation. They are selling very high-end lots of land on North Carolina’s most beautiful lake: Lake James. The insight we discovered was that while these lots can sometimes cost up to $1 million dollars for the land alone, over 70% of buyers pay cash. That means we were trying to attract a very finite pool of prospects with very unique needs. 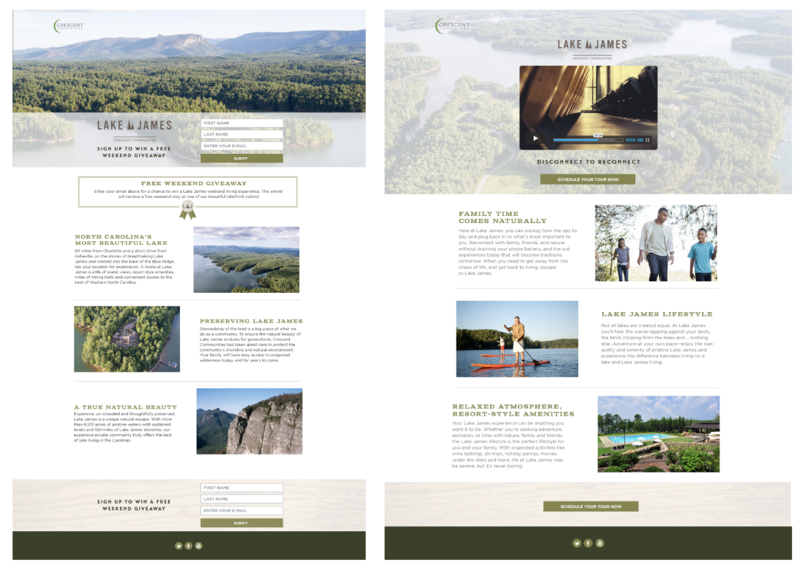 An in-depth assessment that included meetings with the sales team, an assessment of buyer/prospect data and complete market study allowed us to map the Lake James customer journey, identifying the key issues that attracted prospective buyers and those that concerned them most. Then we developed a robust content strategy that centered on those themes to nurture prospects through the sales cycle. Our custom content funnel included automated messaging, triggered responses and spanned digital ads, social ads, emails, videos, landing pages, and physical mailers. We even developed a Virtual Reality experience and custom VR viewer for those who weren't able to schedule a tour. 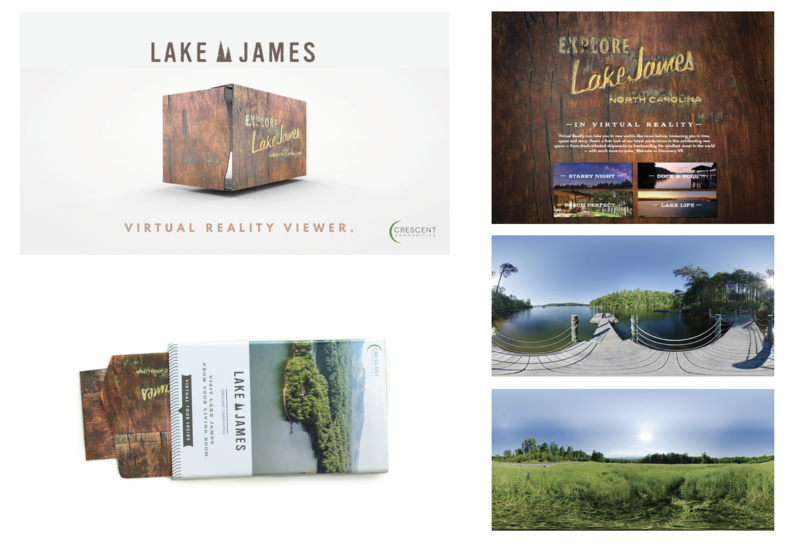 Lake James is something you really need to experience to understand, and we figured, if people couldn’t get to our beautiful property, we would bring it to them. All of our content was designed to move this affluent group through our sales funnel, delivering ultra qualified leads primed to buy. We even used adaptive creative, adjusting messaging to respond to audience engagement rates. Landing pages were customized to audience insights and messages they would respond to at various stages of the sales cycle. The results were impressive with a huge increase in year over year tours, qualified leads identified, and even actual sales. Industry benchmarks were shattered for open and click through rates, and our videos had phenomenal numbers both for viewing and for full-video views. Maybe most importantly we shortened what was typically a three-year sales cycle into just a matter of months—and we’re still continuing to refine and optimize the program.